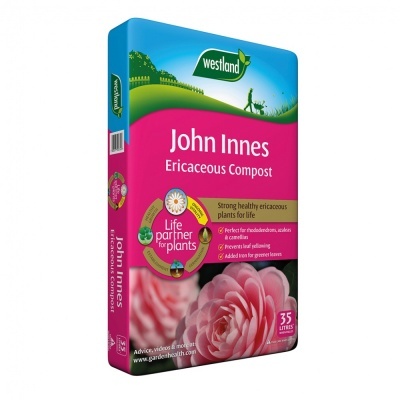 Westland 'Garden Health' John Innes Ericaceous Compost 30ltr Bag formulated for acid loving plants, specifically formulated for plants that favour an acidic growing medium. 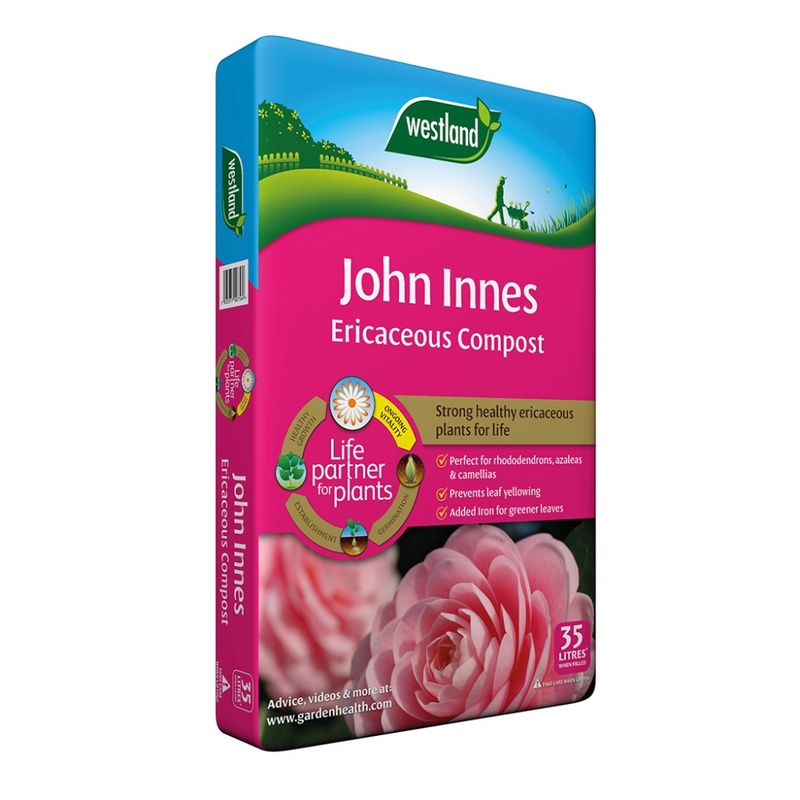 Ideal for lime-intolerant plants such as Rhododendron, Azaleas, Pieris, Heathers, Hydrangea and more... John Innes is a unique 50:50 blend of peat and West+ wood fibre, offering excellent moisture control allowing growing room for strong and healthy root structures. 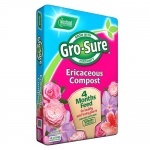 Suitable for potting on, propagating or placing acid-loving plants in containers with a unique balanced formula that prevents yellowing foliage of acid-loving plants. Benefits from the patented West+ ® Natural Fibre Technology producing stronger roots & bigger plants.